Having glass doors installed in front entrances, kitchen, and even shower screens seem to attract many homeowners. With this, glass doors are very much on trend these days. This remains unsurprising as glass doors typically enhance an area’s overall aesthetic. Contrary to popular belief, glass door prices in Singapore seem to be more affordable nowadays. However, like any kind of glass fixtures, installing glass doors also come with their own set of pros and cons. Let’s kick things off with the benefits. 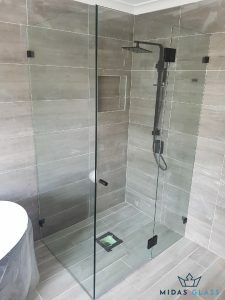 There are plenty of advantages that come with getting something like a shower glass door in Singapore installed in your bathroom. Here are a few of them. One of the most common reasons why people get glass doors installed in their area is because of their undeniable aesthetic appeal. Having glass doors certainly makes any space classier than areas installed with wooden doors. The abundant designs and shapes available can complement any room. People who opt for a foldable glass door installation in Singapore usually prefer having their rooms brightened by natural light. You also won’t have to spend much on artificial lighting and might even save on electricity bills because of this. 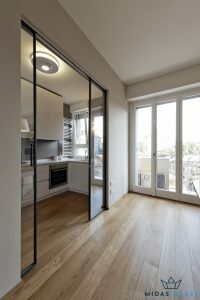 Glass doors are also more versatile than standard doors. You can get them installed with varying types of glass that comes in their own shapes and colours. 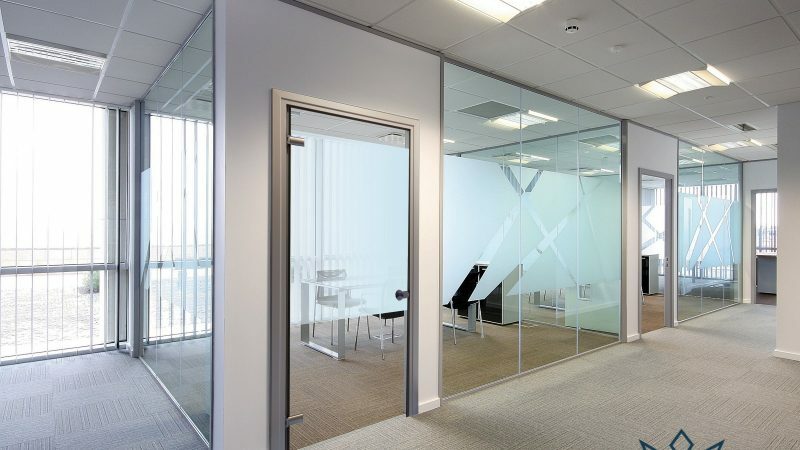 For instances, most offices opt for frosted glass doors with their logos etched on the surface. Doing so makes any glass doors more personalised compared to wooden doors. As most glass doors are transparent, you may think that you’ll experience a lack of privacy when you get it installed. However, you can prevent this from happening by opting for a frosted glass door in Singapore that is made translucent. In this way, you can still get the benefit of having natural light pass through the door while maintaining your privacy. This should be pretty obvious, but glass doors simply are thought of as not as durable as their wooden counterparts. By nature, glass tends to be feeble and more susceptible to breakage and damages. However, you can solve this problem by using tempered glass for your glass door. 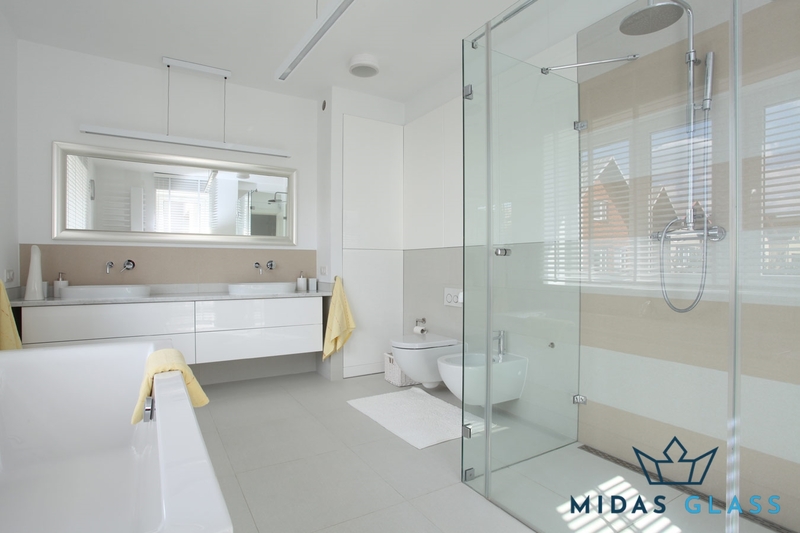 Want to install a bathroom glass door in Singapore? 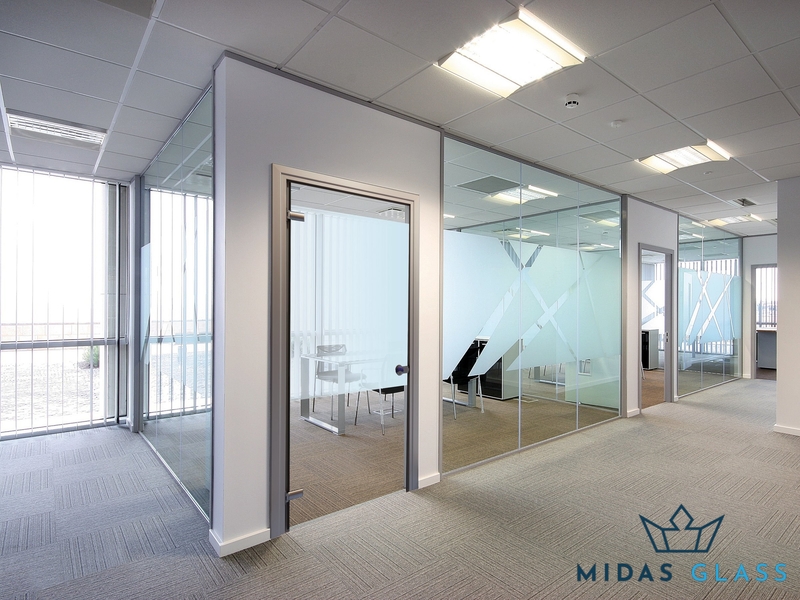 At Midas Glass Contractor Singapore, we offer a range of premium quality glass installation services. You’re guaranteed to affordable pricing without having to compromise top-notch workmanship. Contact us now by calling +65 6653 2666, sending us a message on WhatsApp us at +65 8779 7796, or hitting us with an email at enquiry@midasglass.com. While you’re at it, view our range of successful projects!